I recently read a post from The Minimalists about their favorite bloggers (I can’t find the original post! Sorry!) and of course I clicked on every single recommendation – as I can not get enough of other people’s simplifying testimonies. One of their recommendations was Blonde on a Budget. 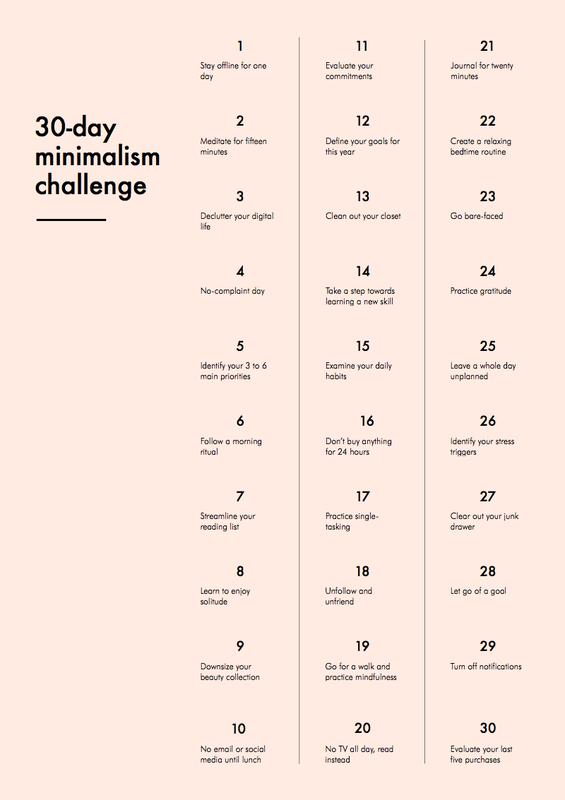 I spent a great deal of time catching up on some of her recent posts and found this: the 30-Day Minimalism Challenge. I think the list/idea was originally from into-mind.com, but I LOVED how she attached her daily updates from the challenge in the post. 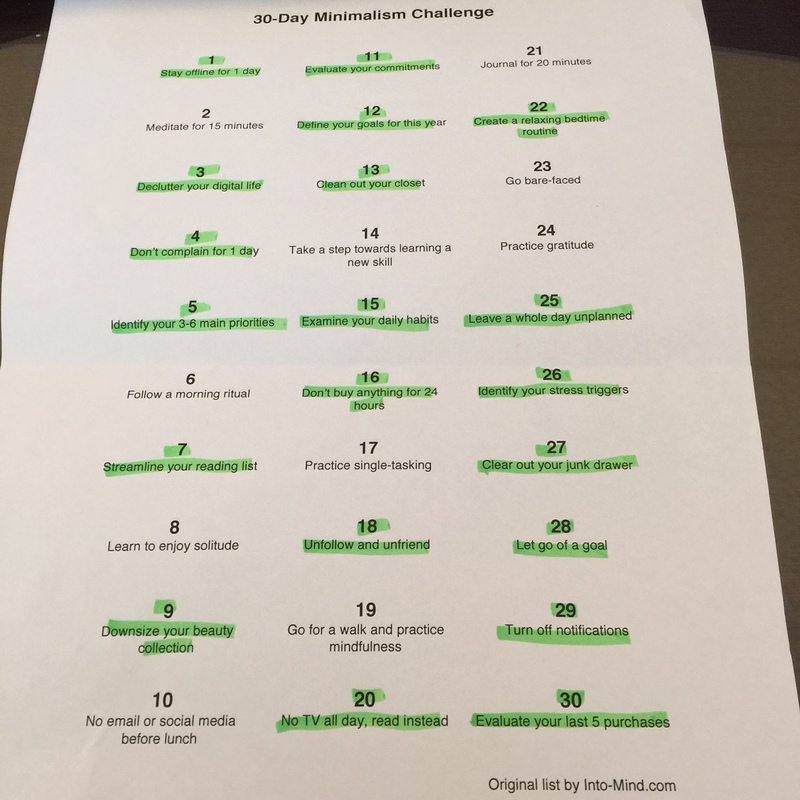 I am also really digging the simple concept of the 30-day challenge. Now, my life is so far from simple right now. I have way too many irons in the fire than I am comfortable admitting at the moment. I suppose I am a perfect candidate for this challenge, but the looming possibility of failure scares the crap out of me. Now is better than never, right? Plus, it will give me purpose for giving my blog the TLC it needs. When I sat down to start planning out my July 21st – August 19th challenge, I noticed some of the points of the challenge were singular events and others were more of a daily practice; so i’ve sectioned off those singular-event items from the others. My daily updates may just be that – updates. Others will be addressing points of the challenge directly. Hopefully my method of challenge-organization will make sense when it is all said and done. The next 30 days will be interesting to see how it unfolds for me. Won’t you join me and hold me accountable? Pretty please. Here is a printable version of the list (thanks Blonde on a Budget). If you are joining me in the challenge, let me know your updates too! If you are just following – any ideas or words of encouragement would be greatly appreciated!